iWindow installs on the inside of existing single-pane or dual-pane window or curtainwall framing. 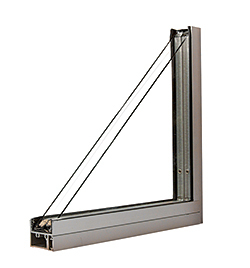 It requires no change to existing glass and adds insulation to the window or curtainwall. The product raises the full-frame R-value of a window to 3.9 (U-factor 0.25), according to the company.